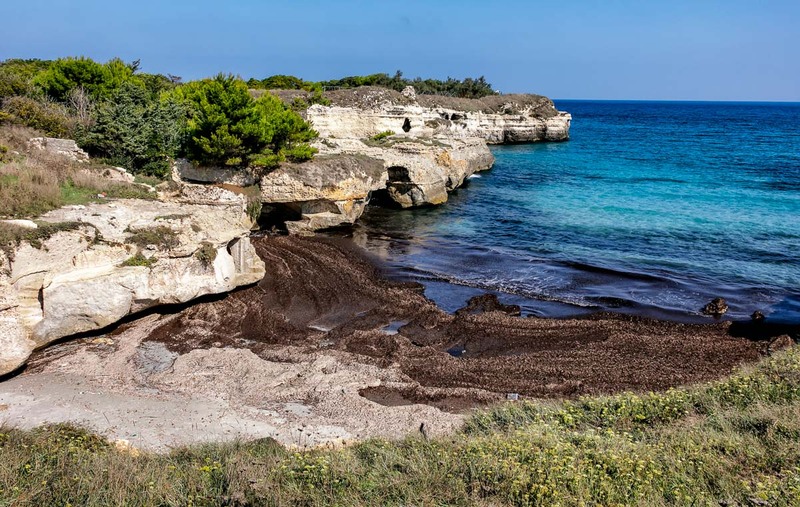 Jayne and I recently returned from the region of Puglia , located in the stiletto boot heel of Southern Italy. 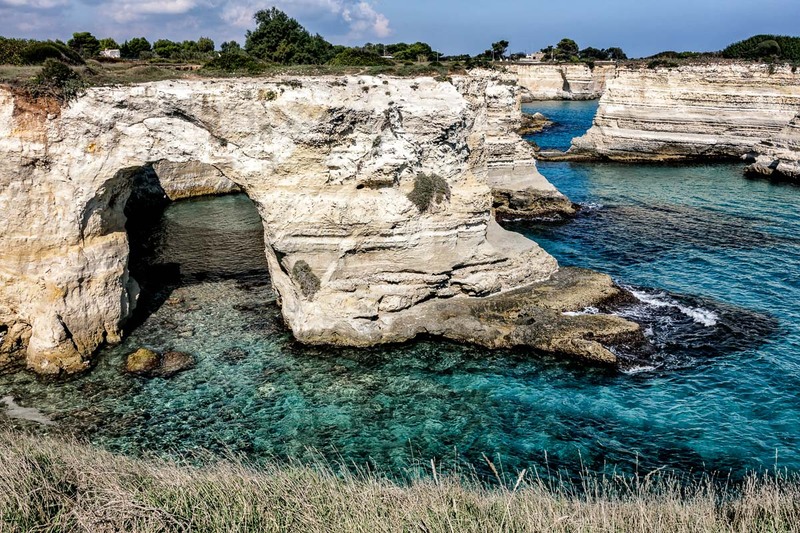 The neat thing about this region is that it is bordered by the Adriatic Sea to the east, and the Ionian Sea to the west. This area is dead flat and not known as a popular tourist destination, yet had a vintage charm of its own. As is typical of our travels, we use the “spokes of the wheel” approach to touring. Our local residence while we were there was located in Alimini, in between Lecce to the north and Otranto to the south. I prefer to drive, if I can, as this affords us the best way to see what we want for as long as we want and then move on. We are not fans of tours and are more than willing to fill in the knowledge gaps when we get back home through internet research. As a photographer, I do extensive research before we go, looking for photographic locations and oddities around the area we stay. Driving during this trip was an adventure. I had plan A,B,C, and D, meaning we had a Garmin, iPhone Google maps, printed Google directions, as well as a Michelin road map of the region. None of these prepared us for what I call the “spider web” effect of roads in the region. Garmin took us through twisty back roads then main roads. Google maps used more direct main roads which made more sense. We ended up using iPhone Google maps as the main navigator, with the Garmin on mute. Between the two we made out just fine. However, on more than one occasion we ended up having to travel one-lane roads which also happened to be two way traffic! These roads were connector roads between main roads that went through the many olive grove plantations in Puglia. There are no street lights at night, so these connector roads (as well as the main roads!) were very dark at night. Italian drivers are just nuts: they don’t obey the speed limits, will tailgate you so you don’t even see the headlights of their car because that is their way of making you pull over to let them pass. They think nothing of pulling out half-way into the road to announce to oncoming traffic their intention of not waiting since they have places to go. My driving philosophy on vacation is that I prefer to drive at a slower pace and frequently pull over to allow the more determined drivers to pass, a win-win for both of us. This way I get to see and take advantage of any other potential photo opportunities that taking an official tour would not allow. 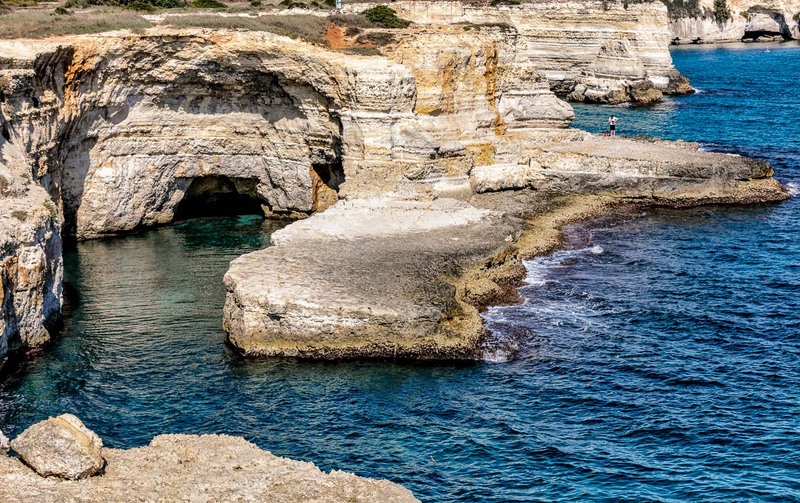 One of the first highlights we explored were the grottos of the coast in Roca Vecchia near where we stayed. 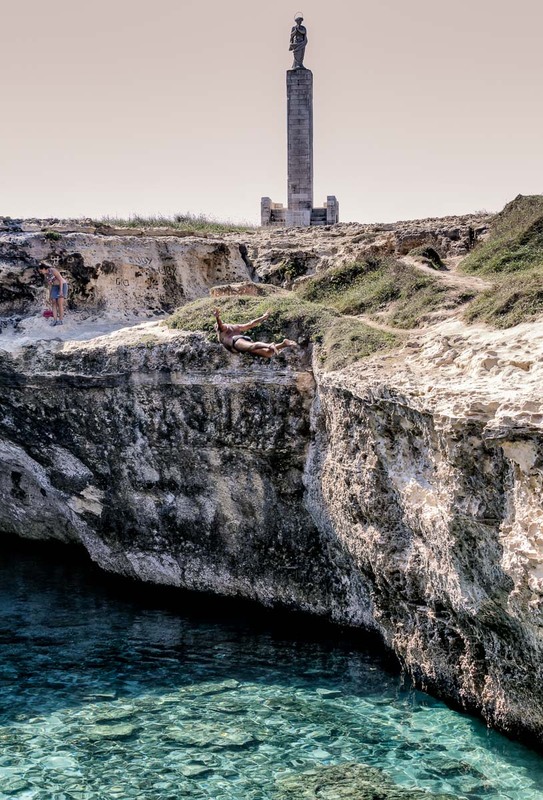 Grotta della Poesia and Torre dell’Orso Beach, both located in Melendugno , were very typical of the coastline experience along the Adriatic Sea. Both sites are very old and contain archeological digs with the remains of massive walls from the 4th century BC, all the way up to structures and medieval walls dated to the fourteenth century AD. 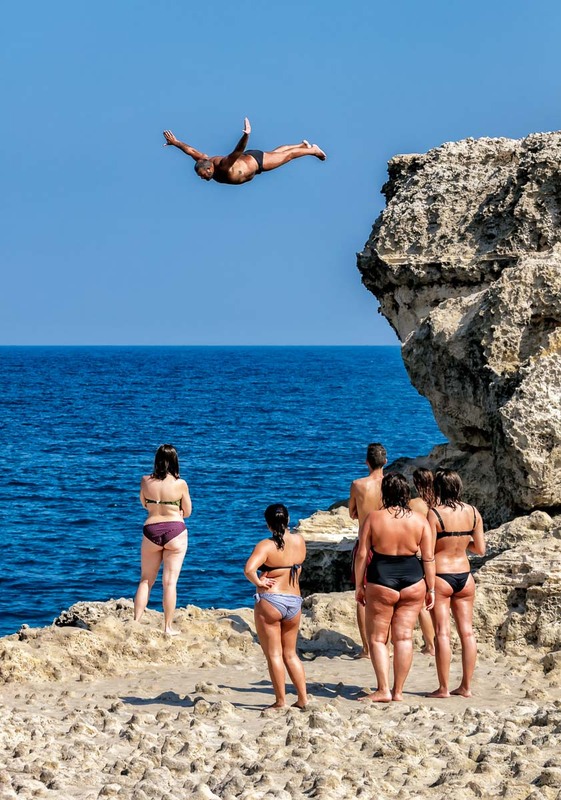 But the Italians use this as a swimming hole where they practice their cliff diving skills! Well, I might give it a try then! Thanks, Stan! The diver and the butts is the best. Candidate for the Audubon contest as people enjoying nature. Lock for 1st place award. I really love this shot! !